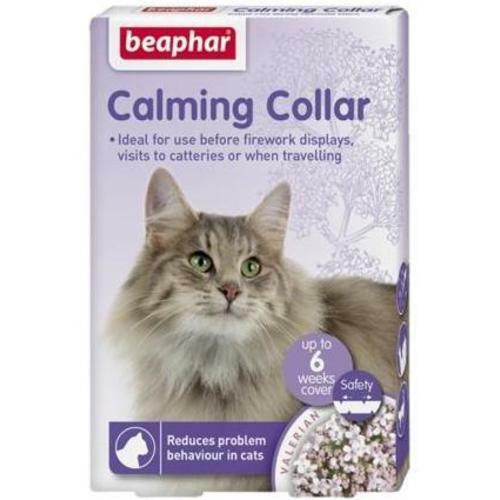 Beaphar Calming Collar for cats effectively reduces problem behaviour arising from stressful situations in cats of all breeds and ages. Using Valerian and Lavender which are often used in human healthcare to manage stress. it leaves cats feeling calm, settled, relaxed and reduces problem behaviour. This can be especially important in a multi-cat (or pet) household as cats are particularly sensitive to other animals and changes in their environment. Once fitted, Valerian will be released immediately and the cat will begin to relax within approximately one hour and will be effective for up to 6 weeks.